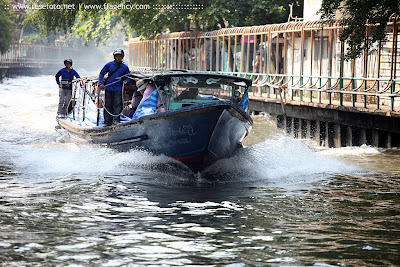 High speed boats fly along some of the remaining Bangkok canals and can be great fun. They are fast, direct and cheap but not for the faint-hearted. Jump for your life when you want to get on or off! Photo: Anders Thorsell.